There is one thing you can never have enough of in my opinion: Love....and books. I am a huge fan of reading, so when the opportunity arose to become part of the Z Blog Squad, I was thrilled! Each month we get the opportunity to choose a couple of books through Zondervan, free of charge, in exchange for an honest review on our blog. Plus, they have a giant assortment of high quality books to appeal to infants through adults. What I love about The Berenstain Bears books in general is that each book focuses on a moral lesson, and further, turns it into an entertaining story. In The Berenstain Bears Keep the Faith, Brother and Sister Bear are faced with a situation where they learn that some of their friends practice different religious beliefs than themselves. From these differences, they learn that they have faith in God, although are uncertain about what that means. With the help of Preacher Brown, they learn about what faith is. While The Berenstain Bears Keep the Faith is appropriate for children ages 4-8, I have a 2 year old and an 8 year old, and this can keep both of their attentions. It is easy to read for my 8 year old son, and has enough pictures and color to keep the attention of my 2 year old daughter. Plus, we received this book shortly before Easter, and I thought that was fittingly appropriate. Additionally, on the inside of the back cover, there is a section with bullet points addressing conversation starters and activity ideas. Any older children could benefit from discussing what they read, while also seeing the real world application. 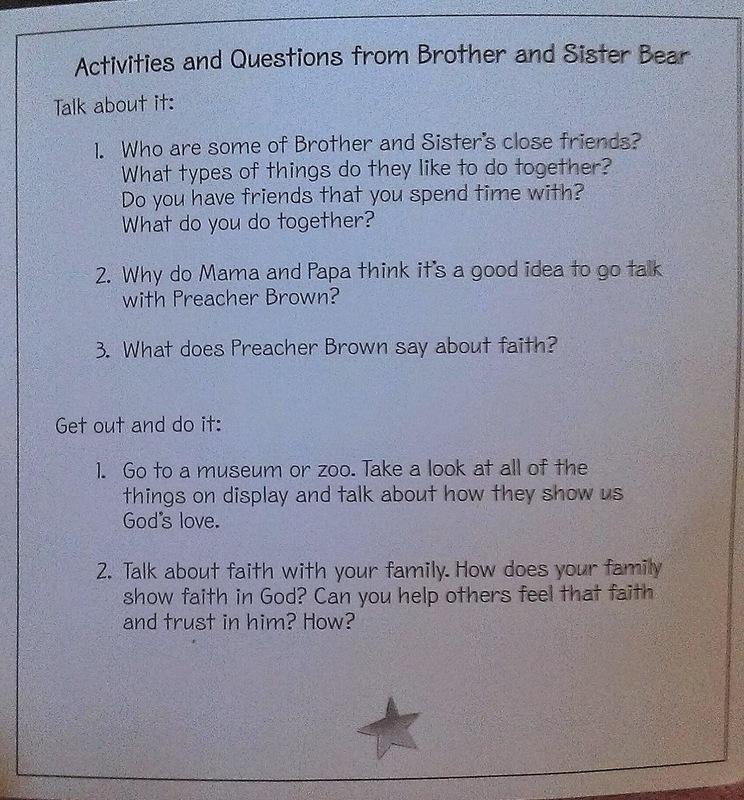 I found that the message in The Berenstain Bears Keep the Faith was very easy to understand, and simple enough for children to follow. I also found that it was not overpowering or confusing as some religious books can be; the message was clear, as well as relatable. I do not feel as though the spiritual message in this book is strong, however, it is perfectly appropriate for the audience that the book is written to entertain. Religion can be a very loaded topic, and I appreciate that they break it down into digestible pieces for young readers. As stated earlier, the illustrations help to pull the story together and keep the reader's (or listeners) attention, and they are the same high-quality pictures that are present in all of the Berenstain Bears books. Disclosure: I was given a copy of this book complimentary from Zondervan in exchange for an honest review. The opinions stated in the above review are my own. Vitamin C.... In Your Beauty Routine! I have seen so much lately on using oils and serums in your beauty routine. I never quite put enough thought into it to care much. I figured, I have sensitive skin and I don't see the point of smothering my acne-prone face with something oily or adding yet another step to my already time consuming routine. If anything, I want to shorten the time I spend "beautifying" myself everyday. I have since learned the science behind the oil things too; oil attracts oil, and consequently dirt and bacteria as well, therefore pulling it from the pores and purifying your skin. I have since used some oils, and with success! So there is your lesson for today - Don't judge a product by it's ingredients. Unless, of course, they are harmful....In that case, judge away. I am on a "green" kick, and have been attempting to rid my household of products that contain high concentrations of toxic ingredients. That being said, my beauty routine was one of the first things to get overhauled. Since then I have tried to seek out products that are made with more natural and organic ingredients. Fortunately, I was given the opportunity to try out La Beauté Pure Organic Vitamin C Serum complimentary for review purposes. This serum is a concentrated delivery system for the highest form of active bio-available Vitamin C for beautiful skin. Suspended in a concentrated base of pure vegan hyaluronic acid to plump skin cells and protect and restore. No parabens. No chemicals. No preservatives. No Formalin. No Formaldehyde. No Phthalates. No Petro-chemicals No GMO. No Triclosan. No Fragrance. No Colors. No Animal Testing. No Worries. If you are looking to try a serum and have a need for reducing signs of aging, I would recommend that you give this Vitamin C serum a shot! I have been using this serum for only a small amount of time. While some people may experience drastic transformations right away, I am sure that using it for an extended period of time is the only way to find out if this serum will work for you. Luckily, they do offer a money back guarantee so you have nothing to lose.